Even before Alexander is born to his father King Phillip and his mother Olympia, Aristander played a part in the story of the man who came to be known as Alexander the Great. King Phillip dreams of sealing up the womb of Olympia with a seal which bore the likeness of a lion device. The soothsayers were suspicious about the dream because they believed that it meant that the King should keep better track of his wife. Seer, Aristander interprets it to mean that the unborn child will be lion-like and brave (Aristander). The Greeks were known for their belief in seers and soothsayers. Alexander the Great was no exception. He relied on many seers that traveled with him during his campaign in Asia. Aristander has been called the seer extraordinary of Alexander the Great. In one instance he was called upon to explain the strange flight of birds, and on another occasion he was asked what a spring of oil meant by a river (Robinson). These are just a couple of examples of how Alexander the Great relied on seers to help him interpret what he believed constituted signs about the future. Aristander performed three main functions in his service to Alexander. He assisted with the daily sacrifices of animals by determining their status. He interpreted omens and provided prophecies. The third function was to interpret dreams (Powler). Another thing that Alexander believed in was oracles. During his conquest he visited the Oracle of Amon on his quest for confirmation that he was the son of Zeus, the Grecian God. 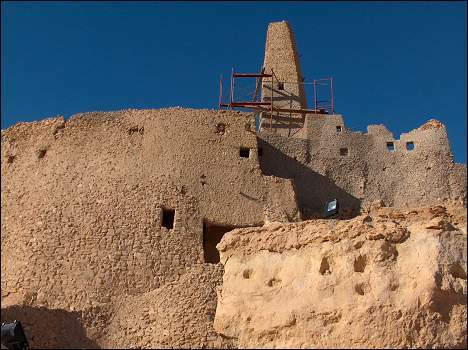 It was Alexander’s wish to be buried at Siwa. 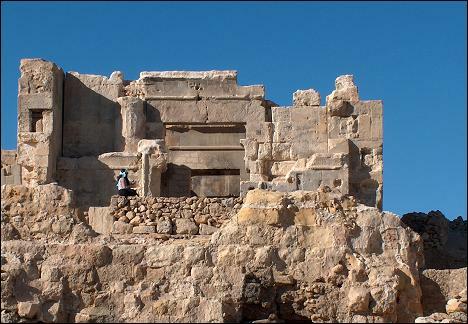 This is a photo of the entrance to the temple complex as it appears in modern times. Alexander was in the city of Gordium, Turkey after the battle of Grancius. Some of the Spartans had been persuaded not to support Alexander. This caused Alexander to hesitate to move forward with his campaign to conquer Asia due to the mixed support of the Greeks. Gordium was the location of the Gordian knot and it what prophesized that the man who could untie the knot would rule Asia. Alexander untied the knot buy slashing it with a sword Alexander took this instance as an omen that he should continue his campaign to conquer Asia (Gill). Aristander. n.d. 7 Feb 2012. <http//en.wikipedia.org/wiki/Alistander>. Gill, N.S. 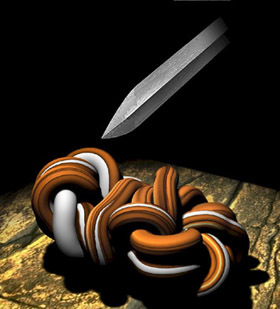 Gordian Knot-Alexandelr Solves the Gordian Knot. 2012. 9 Feb 2012. <http://ancienthistory.about.com/od/alexanderterms/g/GordianKnot.htm&gt;. Powler, Thomas-William. All About Alexander the Great. 1994. 7 Feb 2012. <http://www.pothos.org/content/index.php?page=pothos&gt;. Robinson, Jr. C.A. “The Seer Aristander.” American Journal of Philology 1929: 195-197. 7 Feb 2012. <http://www.jstor.org/stable/290420&gt;.